In her recent blog post, Jennifer Dixon, Chief Executive of the Health Foundation made recommendations to help speed up improvements and allow the NHS to reach its aims in the NHS 5 Year forward view which included support at the clinical front line, better operational management and the right leadership. 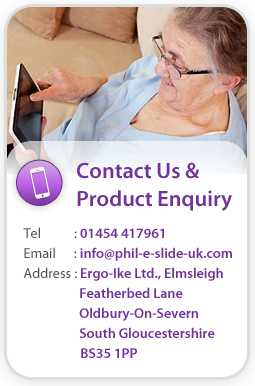 At Phil-e-Slide we agree that all these are important and that in addition patient care technology and systems – like the existing Biotechsis inbed care management system – need to help improve processes by designing in ergonomics & eliminating sheer & friction. ‘I haven’t failed. I’ve just found 10,000 ways that won’t work’ said Thomas Edison, the US’s most prolific inventor. He then went on to invent the light bulb. Trial and error, numerous small tests of change, and finally progress and spread. Is that the path for the NHS to reach the vision in the NHS Five Year Forward View? Our latest briefing on the state of quality and safety in our health services gives a broad picture of where we’re at now, but what are the best approaches to speeding up improvement? In Constructive Comfort published last month, we argue that relying on a better blend of the usual national policy levers in the NHS won’t be enough. The action to speed up change will come at or near the front line, where mission and talent are in good supply but support isn’t. What kind of support if money is short? Three main types. First, support at the clinical front line. Those working to deliver care day in, day out, need permission to make some headspace to think about improvement: observe and map current care pathways, use simple tools and techniques to make and measure small tests of improvement, and then make adjustments before further testing. Sounds simple, but it’s hard. Some providers (across the UK, mainly a few acute trusts) have built this expertise among their clinical staff with good results in safety, improved flow of patients and productivity, and an energised front line. 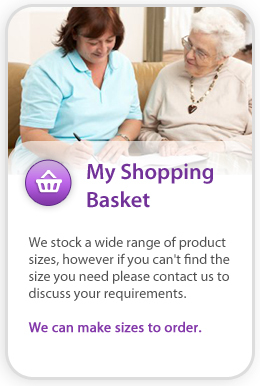 Last month we published five such case studies. If they can do it, why not all trusts across the UK? Tricia Woodhead, Associate Clinical Director for Patient Safety at the West of England Academic Health Science Network, examines this issue more in her blog. One reason why there are pockets of improvement, rather than it being widespread, is that if you mention quality improvement – or QI – techniques to many clinicians, the response is often ‘Q-what?’ This is the result of no QI training or familiarity with the basic QI tools that, for example, Deming and Juran imported to health care from engineering half a century ago, and thus there is poor use of measures that might highlight the way ahead. More fundamentally, it may also be due to a lack of a world view by clinicians that they, with the patients they serve, can and should reshape care. While some trusts have made a start, as our case studies show, a map of capability by trust across the UK would show very few hot spots. And there is no example anywhere near as florid as those found in the US, Intermountain Healthcare being probably the most advanced and with results to match (watch a video on this from the recent Nuffield Trust Summit). The second type of support is better operational management. At the Health Foundation we’ve found that it’s common for clinical teams working in trusts to make successful changes, but they can only do so much improvement before they reach organisation-wide barriers beyond their control. For example: the system of retrieving medical notes is chaotic, IT is substandard, staff contracts and rotas don’t work well, the placing of facilities, how other departments work with them, and so on. Some of this concerns basic operational management – too often the less-fashionable sister to ‘leadership’ and ‘quality improvement’. The third type of support needed is the right leadership: supporting the front line, seeing and (more pertinently) delivering more strategic solutions like new models of care across a community. To meet the Forward View in 5 years rather than 25 demands serious action on all three areas, locally and nationally. At the Foundation our focus is more on the first area: how to help frontline clinical staff do two jobs: their current work, as well as work to improve care every day. That is why we’ve invested in this area for over a decade. It is also why we’ve joined with NHS England to identify and cultivate a cadre of quality improvement experts across the country. This month we’ve published some quick guides to help those working to deliver care make improvements – you can read summaries and find links in our newsletter feature. Jennifer is Chief Executive of the Health Foundation.